Residents were forced to use garden hoses to help stop a brush fire that burned near their homes Thursday afternoon in East San Jose. 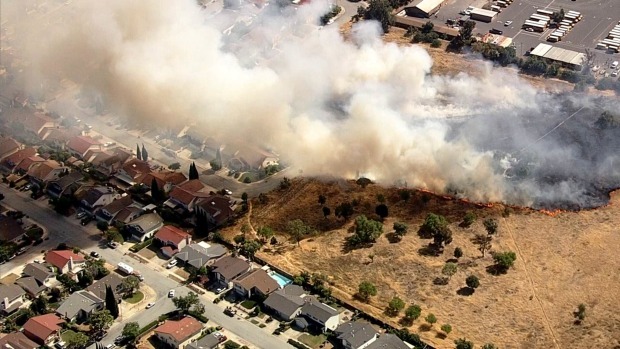 The fire burned at an empty field in a neighborhood near the Penitencia Creek and N. Capitol area in East San Jose. 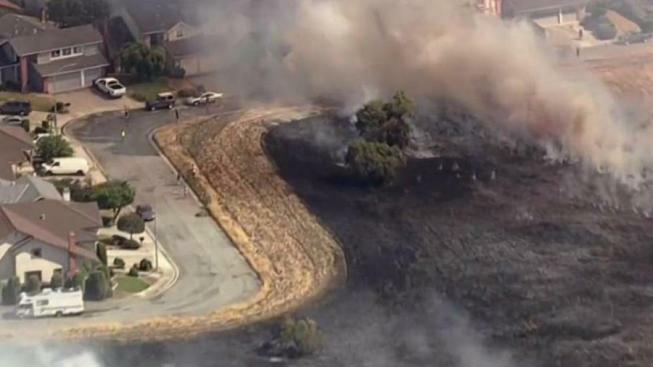 Video from NBC Bay Area's SkyRanger showed flames inching toward homes on Eversole Drive. Neighbors were seen using garden hoses to spray water toward flames. 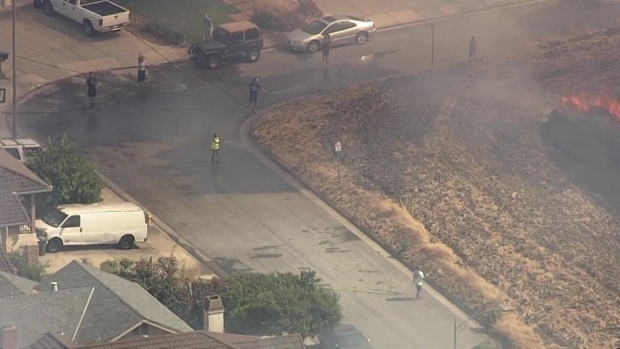 Residents use garden hoses to fight a brush fire burning near their homes in San Jose. "We just took out our hoses and whoever wasn't home we took their hoses and watering everywhere we can," resident Karen Abad said. "It was scary." Abad and other residents also started calling neighbors to warn them of how close the flames were to their homes. The area is near the East Side Union School District offices and the VTA Penitencia Creek station. Animals at a nearby Wildlife Center were also temporarily evacuated. "We had to move very, very quickly," said Laura Hawkins with the Wildlife Center of Silicon Valley. "Luckily we already had a plan in place already for just this type of thing and coordinated with the fire department so tey knew what we were doing." The fire was contained before 4:45 p.m. No injuries or damage was reported from the grass fire. Meanwhile, other South Bay fire crews responded to several brush fires just off Grant Road near Mount Hamilton in Santa Clara County. The largest of the fires had charred at least 85 acres and was 75 percent contained, Cal Fire officials said late Thursday.